Draft: 1997, Houston Astros, 1st rd. October 31, 2013 DH Lance Berkman elected free agency. September 1, 2013 Texas Rangers activated DH Lance Berkman from the 15-day disabled list. August 13, 2013 Texas Rangers sent DH Lance Berkman on a rehab assignment to Frisco RoughRiders. August 10, 2013 Texas Rangers sent DH Lance Berkman on a rehab assignment to Round Rock Express. July 7, 2013 Texas Rangers placed DH Lance Berkman on the 15-day disabled list. Left hip inflammation. January 7, 2013 Texas Rangers signed free agent DH Lance Berkman. November 3, 2012 1B Lance Berkman elected free agency. October 24, 2012 St. Louis Cardinals activated 1B Lance Berkman. September 1, 2012 St. Louis Cardinals activated 1B Lance Berkman from the 15-day disabled list. August 24, 2012 sent 1B Lance Berkman on a rehab assignment to Memphis Redbirds. August 3, 2012 St. Louis Cardinals placed 1B Lance Berkman on the 15-day disabled list. Right knee inflammation. July 14, 2012 St. Louis Cardinals activated 1B Lance Berkman from the 15-day disabled list. May 13, 2012 St. Louis Cardinals activated 1B Lance Berkman from the 15-day disabled list. 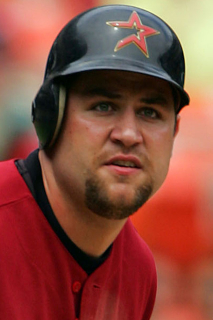 December 4, 2010 St. Louis Cardinals signed free agent 1B Lance Berkman. November 7, 2010 1B Lance Berkman elected free agency. September 1, 2010 New York Yankees activated 1B Lance Berkman from the 15-day disabled list. August 30, 2010 sent 1B Lance Berkman on a rehab assignment to Trenton Thunder. April 20, 2010 Lance Berkman roster status changed by Houston Astros. April 16, 2010 sent 1B Lance Berkman on a rehab assignment to Round Rock Express. March 31, 2010 Houston Astros placed 1B Lance Berkman on the 15-day disabled list retroactive to March 26, 2010. Cranky left knee. August 12, 2009 Houston Astros activated 1B Lance Berkman from the 15-day disabled list.